Clara Arpa, Spanish representative on the Board of UN Global Compact. 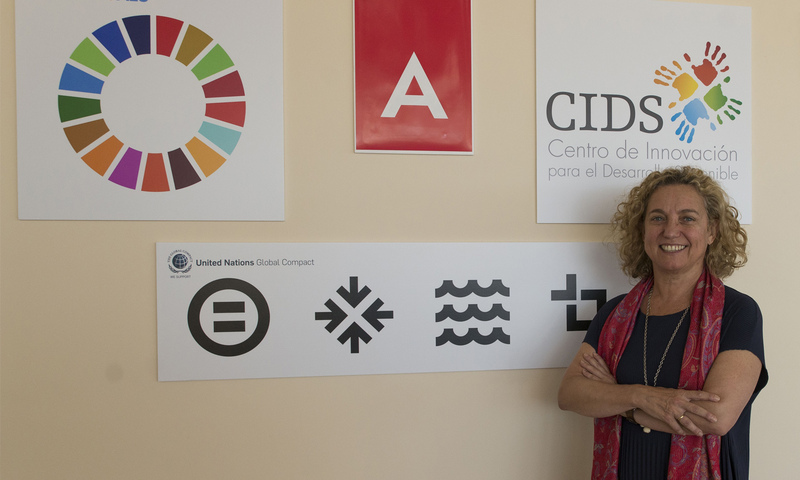 Clara Arpa, CEO of Arpa Equipos Móviles de Campaña, a partner company of the Spanish Network, has been elected as a member of the Board of Directors of the United Nations Global Compact, chaired by the Secretary-General of the United Nations, António Guterres. Taking advantage of the celebration of the first meeting of the Board, we gather the insights of the first SME of the Network that holds a position in this governing body of the initiative worldwide with this interview. The UN Global Compact Board plays a key role in the formulation of the initiative’s strategy and policy, which acts as the United Nations flagship for responsible business action. Designed as a multistakeholder body, it provides strategic and policy advice for the initiative. Its members are considered leaders who have the willingness and ability to advance the mission of the Global Compact. Q: What does it mean for a Spanish SME to join this authority, when Global Compact is the world’s largest sustainability initiative? A: It gives a tremendous sensation of vertigo. Especially since we weren’t expecting it. We asked to be part of the Board, but, to be honest, we never thought that they would choose us, that they would choose me. Now the feeling of responsibility is huge and I hope that we can contribute to it in the best possible way. Q: Do you think that you have a great responsibility as a SME and Spanish company to impact on determinant aspects for medium sized companies? A: Yes, I think that our vision of how the contribution of the SME should be is very correct. We deeply believe that a radical change is necessary in our way of producing, consuming and managing ourselves, and the SME is the largest social agent in the world. 99.9% of companies worldwide are SMEs (especially micro SMEs) and we have to be one more actor as an agent of change. But at the same time, SMEs are excluded from most forums and relegated as innovation agents. This concept, so evident as well as so little conscious, has to change radically. Q: The Spanish Network is the local network with the largest number of companies adhering to the Global Compact. Your nomination will inspire the others. What would you say to Spanish SMEs to make them aware that the Sustainable Development Goals (SDS) can be worked on from a local approach? A: From this point of view, it is important to be Spanish. Spain is the Local Network with the largest number of member companies and we must take advantage of this position to strengthen our commitment as a country. We can be a model of commitment at a global level, both from the private initiative and the SMEs sector, to disseminate through employees (70% of employment is generated by the SME actor) to the rest of the population, which there is no doubt that we must inform and train, so that each individual is an actor of change. This is everyone’s business. I would say to them that it can be done, but to do it, you have to be convinced and we are very lucky to belong to the country that, at the moment, is the most committed. Finally, I would also like to say to them that adhering to the Covenant and starting to work with the Local Network, really makes the commitment and its implementation much easier. That’s what happened to us in the company and I think that our example can be an incentive for other companies to consider that the challenge is achievable. Q: Arpa Equipos Móviles de Campaña is a family business, founded 50 years ago and specialised in the design and manufacture of integral mobile field solutions. Gaining entry in the Board will have been a great challenge as a company and for you personally. What other challenges have you set for yourself in the medium term? A: According to Lise Kingo, CEO and Executive Director of the initiative, the new Board, chaired by the United Nations Secretary General António Guterres is the most diverse UN Global Compact ever, with members who represent companies from around the world along with civil society and other interest groups. What can you tell us about the Board’s operation and how the first session was unfolded? The first session took place on June 29th through a one-hour video-conference where we were introduced to the new members. In this sesión, The United Nations Secretary General, António Guterres, spoke about the renewal of the United Nations system and its direct relationship with the strengthening of the Global Compact. The next session will be on 24 September in New York. The importance of the local networks of the Global Compact and the challenge to disseminate and raise public awareness about the ODS and the need to implement the Agenda 2030. The urgent need for action by the private sector in this challenge and its commitment to the Goals. Optimisation of the global organisation and support for local networks. The strengthening of the Global Compact brand in order to achieve the integration of the Ten Principles and the ODS into the consciousness and the global strategy of the companies.